The evacuation of insurgents was to have taken place at 1:00 am but was delayed. It went ahead at 2:30 am. There was pandemonium in the streets as hysterical civilians searched for one another in the dark, and in the process inadvertently disrupted the assigned positions of platoons. They were finally subdued upon the orders of the Commanding Officer. An order of evacuation was firmly established following a carefully timed schedule at half hour intervals. 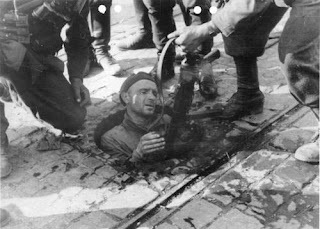 First the wounded descended into the sewers followed by some of the civilians; next units of insurgents without weapons, followed by 150 German POWs, and the last being armed Polish units. Shortly before it commenced, medical personnel searched basements and ruins in the area for any wounded who could be transported. In desperation the Polish army had to leave behind the gravely wounded and the majority of residents in Old Town. 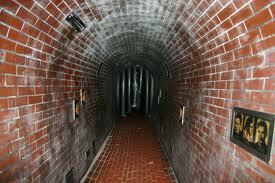 The fear was that if even one man should die while going through the sewers, his body would block the narrow passage, thereby condemning to death all the other defenders. 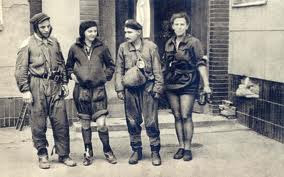 In an awful twist of fate, about 100 Polish insurgents and civilians who had evacuated via the sewers later emerged right inside a German compound and were shot on site. It was a suicide mission. Tragically, these courageous fighters knowingly gave their lives in an effort to divert attention from the other AK units making a break toward Centre City. Sewer guides from after trip from Srodmiescie to Mokotow district at Malczewskiego 6 street. L-R:: Henryk Ziólkowski "Goral", Barbara Filipowicz-Tomaszewska "Barska", Jerzy Krzysztofowicz "Selim" and Janina Zaborowska "Rena"
AK Command sent a radio message to Prime Minister Mikolajczyk. It echoed the hopelessness of a people in its final appeals to its allies. The message read, “We are afraid, that as in the case of the outbreak of the Uprising, (which could not be a surprise to the Government), the Government was not prepared either...militarily or in terms of international policies.” Despair was also prevalent in London. The President of the Council of Ministers of the Polish Government-in-Exile had broadcast a radio message today to the Polish insurgents via the BBC. He openly wept saying, “What else can I tell you, my beloved, than to pay homage...” The flow of radio messages has reached a feverish pitch as insurgents are desperate for air assistance from the Allies. Last night the insurgents had made an attempt to link Srodmiescie with the Old Town. Several hours before the attack was to commence, about 100 soldiers of the “Czata 49” battalion reached Bankowy Square through the sewers. They were to attack the enemy from the rear. However, the insurgents failed to take the Germans by surprise. Polish losses were considerable. The planned attack from Bielanska Street started between 3 and 4 a.m. but collapsed under heavy German fire power. At 6:00 a.m. Col. Karol Ziemski "Wachnowski" ordered a retreat. During the day Polish defenders of the Old Town have been fighting back a general German assault supported with air raids. The bombing has caused severe losses to the ranks of the “Chrobry I” battalion, and destroyed its headquarters in the ruined Simonsa passage as well as a neighboring school building. Since morning German artillery fire on Sadyba has continued from several directions. 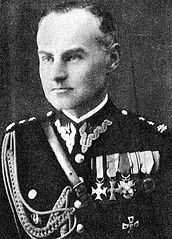 Srodmiescie troops commanded by Maj. Stanislaw Steczkowski “Zagonczyk” also failed to reach Bankowy Square. The insurgents seized the police barracks on Ciepla Street for a few hours and managed to push the enemy back from the Hale Mirowskie Market. However German forces launched a counterattack and forced the Polish fighters to retreat. The breakthrough operation collapsed. The situation in the city of Warsaw as a whole after one month of desperate fighting is practically unchanged. Many German strong-points have been taken by storm, but all the main enemy strongholds are still intact. Warsaw is truly a city of ruins and the dead are either buried inside the ruins or alongside them. The losses among the civilian population are very high. Today the German Air Force dropped a leaflet in which they stated that unless the fight were stopped at once, they would burn the whole city. They have been doing that for two weeks, there are now only ruins left to be burnt. Despite all set-backs, the lack of expected help and the heavy losses, the determination of the people to fight to the last man is as firm as ever. 1st September, 1944. In the other parts of the city the Germans are continuing their periodical air artillery and mine-thrower attacks. There are two kinds of mines in use, one is composed of half explosive and half incendiary material, and the other of pure explosive material. The list of casualties mounts daily. It is impossible to calculate yet just how high the losses of human life are. Thousands of people have been taken out from the city by the Germans, thousands more are cut off from any communication with parts of the town occupied by AK, and thousands more are buried under the ruins of houses. In the large concentration camps formed by the Germans on the city outskirts tens of thousands of Polish people are starving to death, the enemy troops supplying them with no food whatever. 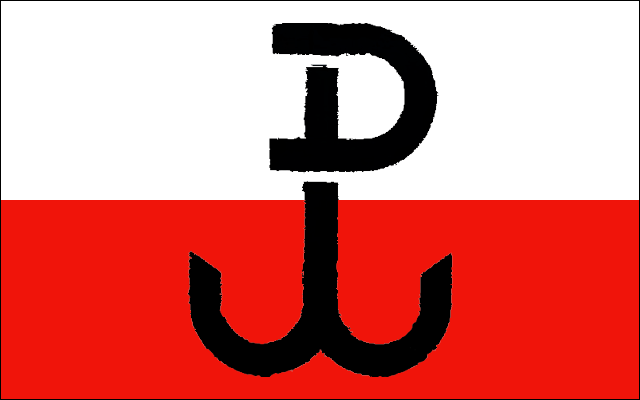 All Polish military prisoners who fall into German hands are murdered. The insurgents have suffered immense losses reaching over 300 people killed or wounded. Buried in the ruins are about 300 people, among them about 120 soldiers of “Chrobry I”. The German troops ultimately seize the bombed out “Fiat” factory on Sapiezynska Street and thave taken up positions in Zakroczymska as far as Koscielna and the entry of Freta Street. The insurgents also lose Brzozowa Street. Since the Uprising began, this is the second bloodiest battle next to the attack on Gdanski Railway Station.